The Michelin Pilot Road 4 GT is the GT variant of the Pilot Road 4, which comes standard on the new BMW R21200 RT and Trail. A standard. I do a lot of touring across Europe fully loaded, Including the wife and used a lot of different tyres. That was until I tried these now i will not use any other tyre. Fantastic all rounder, Wet and dry trust them totally. Amazing tyres. I have bought these about 4/5 for different bikes. Latest is my FJR. Stable and grippy. I will say they are not a summer tyre. certainly for winter and and wet weather as dry roads with no water eat them. I normally jump from PR4's in the summer and then PR4 on the front and Power pilot 2ct on the rear. 5000 miles is normal for majority straight road riding. 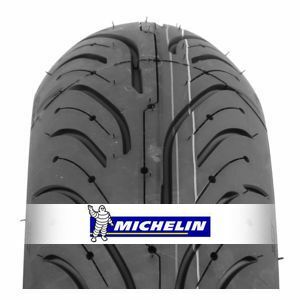 To review the Michelin Pilot Road 4 GT, you first have to log-in by clicking here.